What is a Post Office Box? Post office boxes are a secure way to receive mail. Post office boxes perform the same function as a regular mailbox. A post office box, often called a PO or P.O. box, is a mailbox located in a central post office where you can opt to receive all or most of your mail. It is normally rented for a small fee on a monthly or yearly basis, and customers can choose to have their mail routed to the PO box, or merely give the number as their address. In some countries, having one is the only means by which you can receive mail, because delivery of mail may not cover all outlying or rural areas. While many people rent a post office box at a government run post office, others may choose to have one at private mailing centers. Mailing or packaging companies can rent private boxes to individuals. They may impose restrictions on what can be delivered to them. For instance, if you receive a large package that won’t fit in your box, the company may refuse to accept it, which means you have to travel to the post office, or delivery service office to pick it up. Generally, the post office will accept packages for you that won’t fit in your box, and you merely need to wait in line and pick them up at the counter. 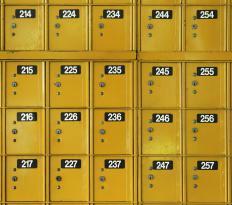 There can be some great reasons for renting a post office box. If you run a business from your home, you can use it to separate your private mail from your business mail. Alternately, if you have a strong Internet presence but want to maintain some anonymity when receiving mail, it withholds your physical address from anyone who might send you mail. If people travel frequently, they may also want to rent a PO box to collect their mail, although you can alternately ask the post office to hold your mail or have a neighbor collect it from your box. The post office box also presents a way from people to receive secure mail, since it is only accessible by mail carriers and by your key or combination. If you live in an area where mail gets stolen, it can help to have a box in order to make sure you receive all your mail. 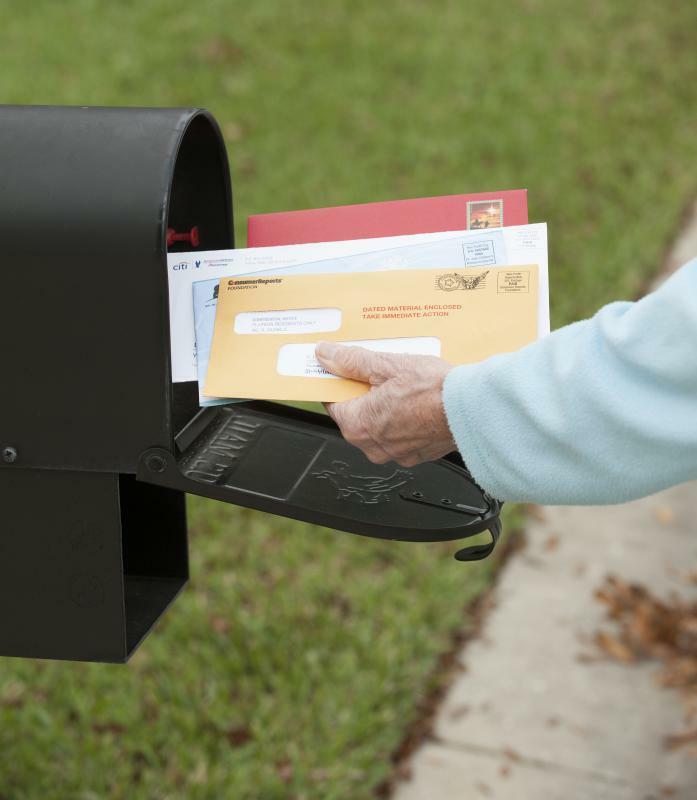 Additionally, if you work near a local post office, it may be simply more convenient to pick up your mail near your work rather than at your residence. Unfortunately, some people use the PO box to commit fraud. They may send out dummy or phony credit card offers in order to gather people’s identity information and steal it. People may also send phony offers and scams and require you to respond to a PO address in order to steal money from strangers. Before you order anything, or respond to a credit card application, it’s a good idea to get the phone number of the company, verify it is a real company, and confirm the address given for responses. In the US, certain types of applications have to state your physical, not your post office box, address. Applications for Social Security cards, passports and, in many states, driver’s licenses will not be approved without supplying a physical address. 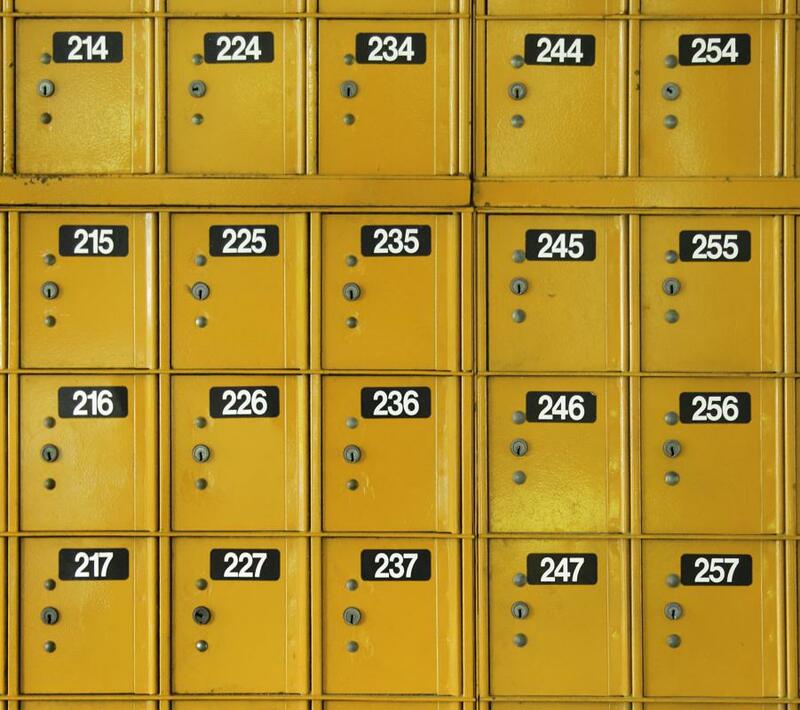 Can you check your PO box even after the post office has closed for the day? I'd like to get one, but I work odd hours, and I don't want to be unable to check my mail after work. I live in the city, and I don't know my neighbors. I've heard of various types of theft going on around here, and I'm not willing to risk getting my mail stolen, so I got a PO box. I receive my paychecks in the mail, and I can't afford to have those taken from me. I love the security of having a locked box inside a building. @anon14504 – Yes, you can send certified mail to a PO box. However, the mail won't be placed directly in the box. The post office worker will put a card in the person's PO box stating that they have some certified mail. Then, the person will have to take the card to the desk and sign something stating that they have received the mail. This is how you get a return receipt. A person will never be able to just retrieve certified mail from their box without signing for it, so you will always know that they got it. It's much easier than receiving a certified mail card at your physical address. Then, you would have to make a special trip to the post office to get your mail, but if you are already there checking your PO box, it is really convenient to just walk over to the desk. My neighbors and I have all decided to get PO boxes. Some teenagers have been riding down the street at night in the back of a truck with a baseball bat and knocking over all our mailboxes. If anyone could catch them, they would be subject to punishment in a court of law. However, only one of us has seen it happen, and the truck drove away too fast for the person to get the license plate number of the truck, and since it was dark, he couldn't see what the kids looked like. what do I do if I put the wrong P.O. box number on a letter? I live in Australia (so this will be a little different from how things operate in the USA), and I have a PO box. I can receive certified letters. The card that the postie would normally put into my home mailbox, goes into my PO box instead. Otherwise, the process is the same. I have to go into the post office and sign a book to receive the letter. I'd also like to take a moment to say that many people are unfairly untrusting of PO boxes. In Australia, when you apply for a "proper" PO box at Australia Post (I don't know about Mailboxes Etc. and the like), you're required to submit to an identification process which is only slightly less stringent than the one required for opening a bank account. In my personal situation, a locked box which is indoors, under surveillance and is associated with my birth certificate and driver's license is a lot more secure both for me and anyone dealing with me than a leaky, old mailbox out on the street that anyone could get into (I rent and can't replace my mailbox). Thankfully, my credit card provider agrees, which makes arguing the point with other companies a bit easier. Can you send Certified Mail, return receipt requested to a Post Office Box Number??? Can you send a certified letter to a post office address?